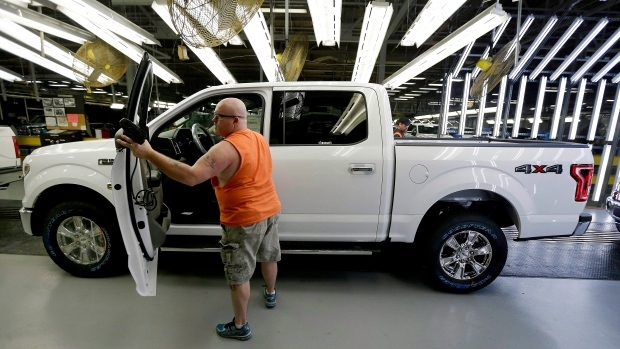 Ontario’s straight-talking premier, Doug Ford, probably said what many were thinking this week when he declared that “people just aren't buying sedans,” after Monday’s announcement that General Motors Co. will not allocate any more production to its Oshawa, Ont. facility after December 2019. Since World War II, everyone has driven sedans and Canada has helped build them – at least until a global appetite for light trucks, sport utility vehicles and hybrids left them in the dust starting in the 1990s. Global sedan sales have gone off a cliff, plunging to 30 per cent of the new car market, from 70 per cent just over a decade ago, according to Cox Automotive senior analyst Michelle Krebs. “I don’t think the younger generation is that sentimental about cars,” said Krebs in a phone interview. She says vehicle purchase decisions for just about any demographic nowadays is driven by practical features like versatile cargo and passenger space, high seating positions for safety, and easy entry. “If you look at the two big demographics buying utility vehicles, it’s aging baby boomers who want easy entry and exit, and aging millennials who have children in child safety seats,” Krebs said. Former Chrysler CEO Tom LaSorda gives his take on General Motors' plan to cut production at its plant in Oshawa and warns that more Ontario towns may be impacted down the road. That trend is hitting home for about 2,500 General Motors (GM.N) employees who were told this week the Cadillac XTS and Chevy Impala sedans they build in Oshawa are no longer wanted. “Unless you have massive volume, you can’t make those plants competitive, so you ultimately have to close them,” Toronto-based automotive consultant Dennis DesRosiers said in a phone interview. DesRosiers added that Fiat Chrysler Automobiles may soon face the same hard choice with the 3,400 production workers at its Brampton, Ont. assembly plant, which produces the Dodge Charger, Dodge Challenger and Chrysler 300 sedans. Still, DesRosiers added there will always be stealth demand for sedans from organizations like police forces who purchase fleets, and car enthusiasts nostalgic for re-designed muscle cars like the Ford Mustang and Dodge Charger. Ford has spared the Mustang from a planned phase-out of all gasoline powered sedans. One of Honda’s three plants in Alliston, Ont. continues to produce the Civic sedan, and Toyota manufactures 1,000 Corolla sedans a day in Cambridge, Ont. Desrosiers said both models sell well enough globally to make the operations safe – for now. “Any of the sedan plants in Canada are vulnerable but most will survive. When and where they skinny up is hard to predict,” he said. Sedan assembly operations aside, DesRosiers said auto manufacturing for all five Ontario automakers appears to be on solid ground for the time being. Ford Motor Co.’s Essex Engine Plant in Windsor, Ont. is back to producing engines for the top-selling F-150 pickup truck after operations seized in the wake of the 2008 global financial crisis. Windsor also continues to produce the Chrysler Pacifica, Chrysler Pacifica Hybrid and Dodge Grand Caravan – all considered light trucks. “Chrysler took a big gamble putting the new Pacifica out and it has not sold well, but it has sold enough to keep that plant going,” DesRosiers said. Other Ontario operations DesRosiers said are safe for now include GM’s Chevrolet Equinox SUV CAMI plant in Ingersoll, Ont., GM’s engine plant in St. Catharines, Ont. and Ford’s facility in Oakville, Ont., which produces light trucks under the Edge, Flex and Lincoln brands. On the bright side, he says one big advantage for most Ontario auto plants is their ability to re-tool to meet changing demand – even if sedan demand returns one day.